Ella Mai had the world singing about being "Boo'd Up." And the hit track just landed the British songbird her very first Grammy Award. 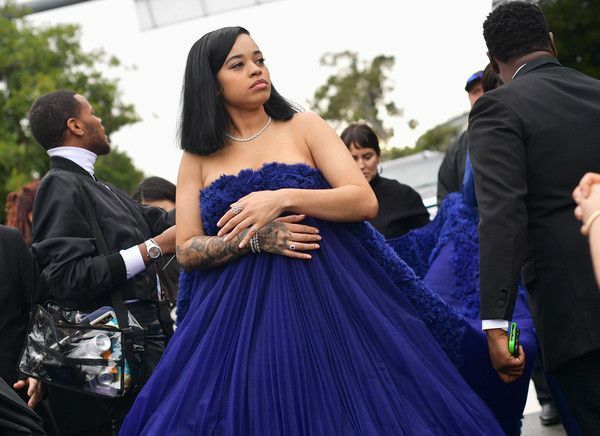 The 24-year-old singer was over the moon after she learned she won Best R&B Song for her infectious track "Boo'd Up." And it was well deserved. The breakout singer ditched her usual curly locs for a sleek bob. 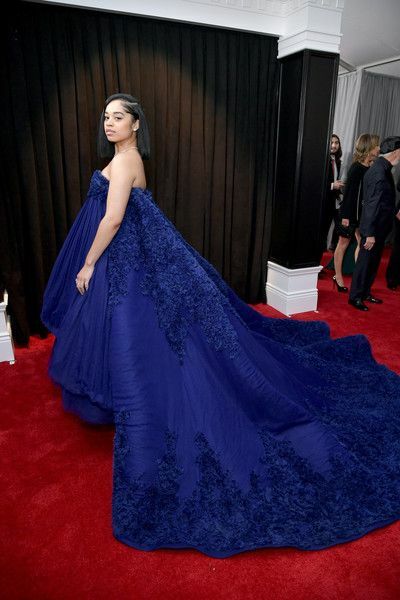 She served up ballroom realness in a gorgeous royal blue dress from Asha Studio with an exaggerated train, styled by Dianne Garcia. 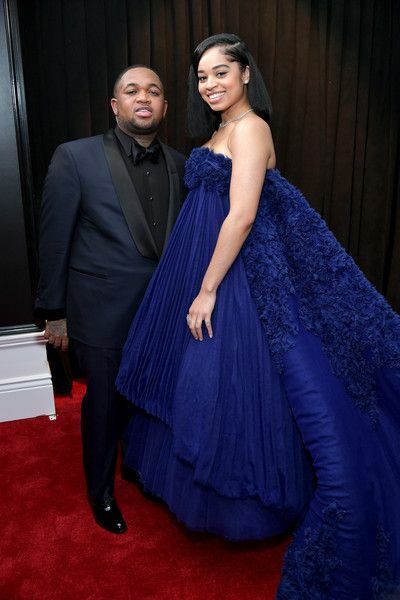 On the carpet, she was joined by DJ Mustard, who discovered and signed her to his 10 Summer Records label. While chatting on the carpet, she revealed she and Mustard made a deal to go sky diving if she won. She was down for it, however, Mustard said he would just be there for support. Ha! 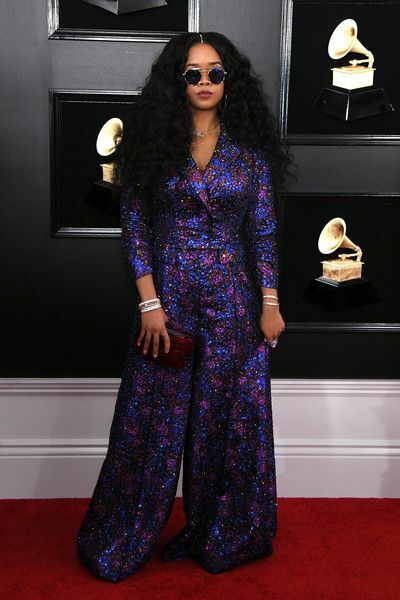 Before making her way inside the awards show, H.E.R. - who was nominated in five categories - nabbed her first win! 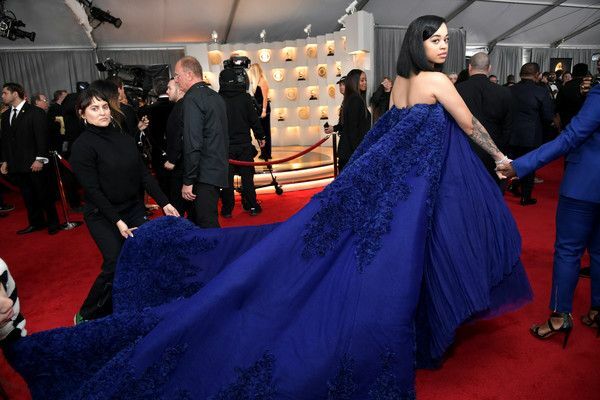 She won Best R&B Performance for her track "Best Part," featuring Daniel Caesar. 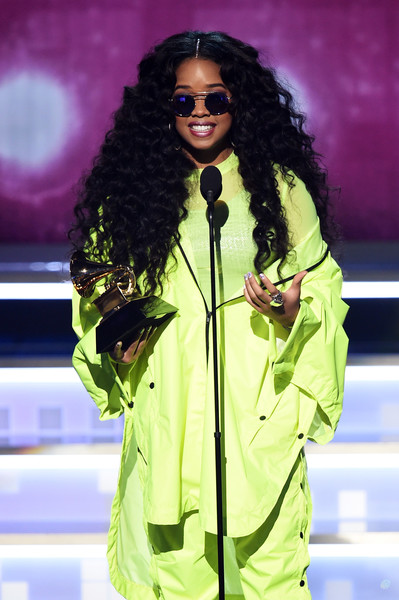 After performing, she copped another award during the show for Best R&B Album for her self-titled EP, H.E.R. The gag is, H.E.R. isn't even an album. It's an EP. Nice! On the carpet, she said this moment "was meant for me." 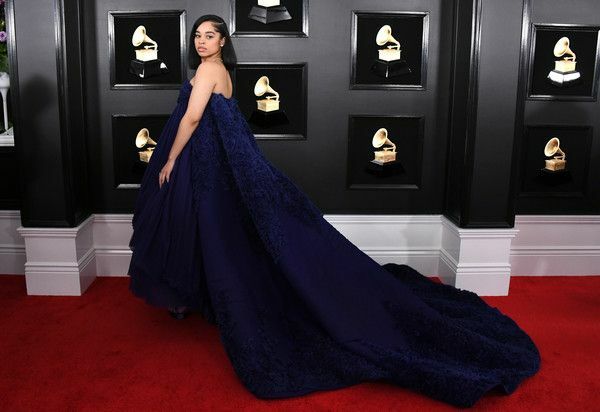 The 21-year-old said she put one Grammy nomination on her vision board and she ended up copping FIVE, so you can imagine how she felt once she found out she's a TWO-time Grammy winner now. 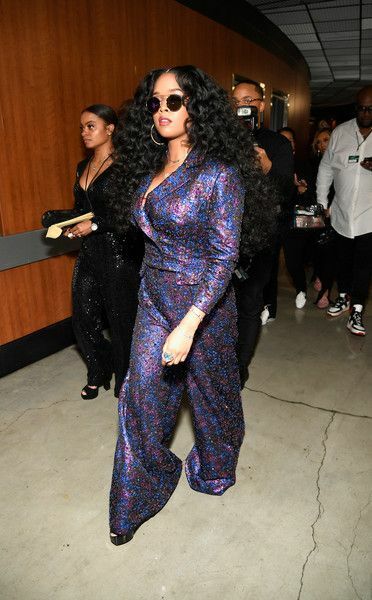 The "Focus" singer rocked an embellished purple jacquard jumpsuit custom made by Coach. The woven fabric was embroidered with more than 25 types of crystals and paillettes and was hand applied by eight artisans in the brand’s New York City atelier. For her performance costume, the R&B songbird wore a transparent crystal-embellished Coach signature sweatsuit featuring over 22,000 lilac crystals and sequins that were individually hand applied to create maximum shine, achieving a northern lights effect. H.E.R. also wore a custom leather guitar strap, integrating iconic design elements of studs and Art Deco crystals. Made of rose gold leather and silver edge pain, the guitar strap was crafted by Coach artisans in New York City and is personalized with H.E.R.’s initials. PREVIOUS: GRAMMY DRAMATICS! 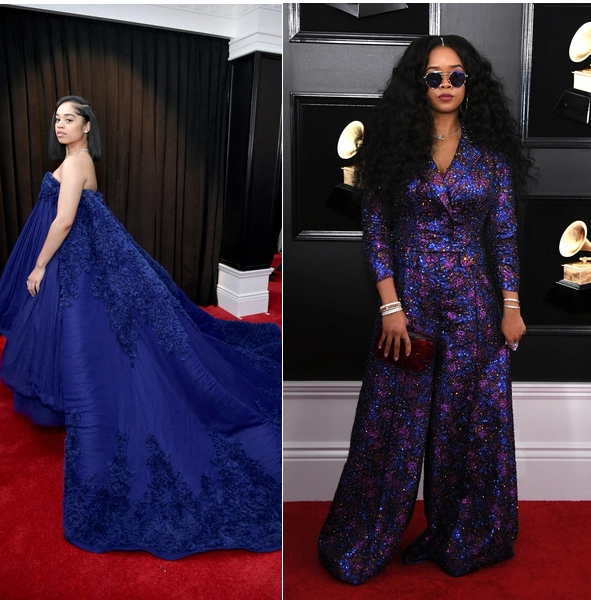 Ruffles, Feathers & Thigh Action From Ashanti, Fantasia & Andra Day...Do We Love It? !